The Walking Dead and Wolf Among Us developer Telltale Games has expressed a desire to make a James Bond game, should budget and red tape not be an issue. Chief Technology Officer and Co-Founder Kevin Bruner says he's a "giant James Bond fan" and would love to build a game in which 007 is the star and shooting takes a back seat to being an actual spy. 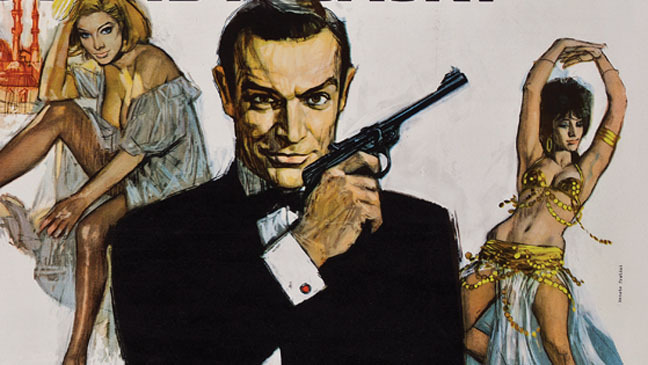 "I'm a giant James Bond fan and I'm always frustrated by games that make him a mass murderer," said Bruner. "He's a super-spy, and that's a different skillset. The films make him less of a mass murderer, and there's not much killing in the books - more spying and intrigue." With Telltale Games having more than enough on its plate, thanks to The Walking Dead Season Two, Wolf Among Us and the upcoming Game of Thrones and Tales from the Borderlands, a new game is unlikely for the time being. It's also possible that the dev could even consider tackling a Star Wars game or even a new IP. "Licensing has played an important part in enabling this company to do as much as it's done without having to create a new IP wholecloth, which is a big undertaking with a lot of associated risk," CEO Dan Connors stated "[But] as we become bigger and can execute that, it gets more and more attractive. "I think we're looking more at 'Can we engage some great storytelling mind to come in and work with us on something and make it not just a game franchise, but a full-on entertainment franchise with comics or a TV show and such and build it all together at once?' We really see that as the next thing that's gonna happen." Could Telltale Games one day take over the world? Watch this space. I can see how this would work, in terms of the detective portions and it would definitely feel different from other 007 games out there. I'd say keep an eye on what TellTale does with the Borderlands property to see how any action may or may not be handled in future titles.